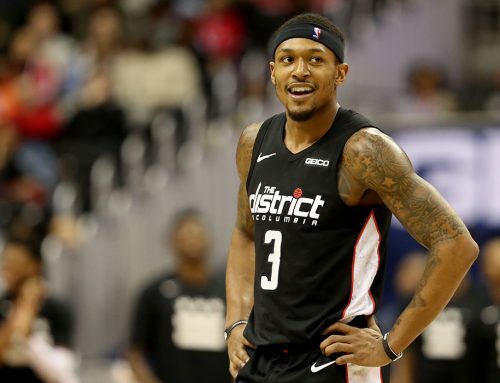 It had it’s bumps and bruises, but Washington’s four-game west coast road trip came to a close on Sunday, and the Wizards ended it on a high note, with a blowout win in Sacramento. 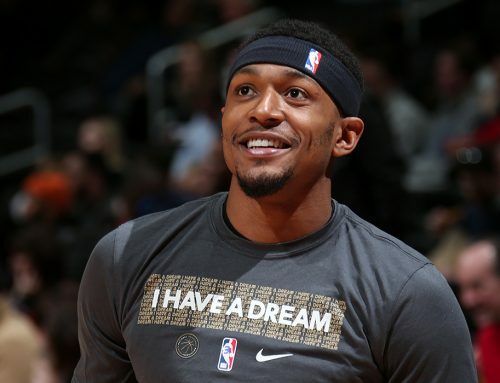 The Wizards (4-2) finished the trip even with a pair of wins and a pair of losses on the road, and although they headed west looking for a perfect 4-0 trip, Bradley Beal noted that they were glad to head home in victorious fashion, ending the trip on a high note. Coming off back-to-back losses in Los Angeles and at Golden State, the Wiz hit California’s capital city with some extra motivation. Gameday, let’s get back on track Wiz! And it showed early on as they scored the first 13 points of the contest on the way to a 110-83 victory. In fact, the game got so far out of hand so fast, that all five of Washington starters clocked out with under 30 minutes. 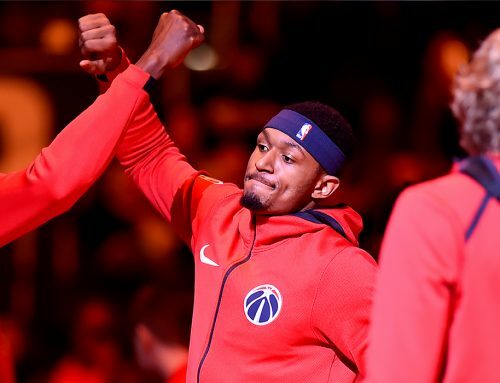 As a result, BB tallied a modest 15 points on 6-11 from the field and added four assists and three rebounds in just 29 minutes, as the Wiz rolled. BB put an exclamation point on the victory late in the third with a pair of big dunks. Washington led by 38 entering the fourth quarter and Brad spent the rest of the evening resting on the bench. And after entering the weekend unsure of his playing status in Sacramento following his ejection from Friday’s game due to a scuffle with Golden State’s Draymond Green, BB was thrilled to get the opportunity to contribute to a bounce-back victory.